Can you believe it's almost October? Christmas is only three months away. If you are like me, Christmas is not only in your mind, but there are a few gifts being stuck back in your closet. Sometimes chores are easier if we have our phone with us, and a recent study shows that 91% of SmartPhone owners never leave their device at home, so here are a few ideas for a gift for yourself or someone else to stay connected to your home, and know that your day was made easier thanks to technology. I want to talk for a moment about Wifi enabled gifts. 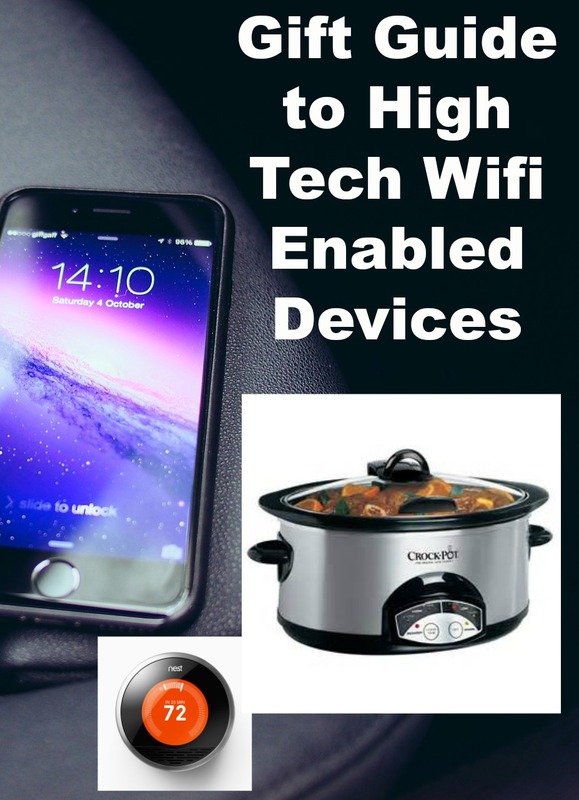 A friend of mine recently bought herself a Wifi enabled CrockPot. 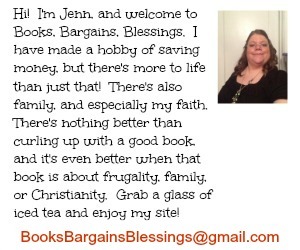 I had no idea such a thing existed until she started talking about it. 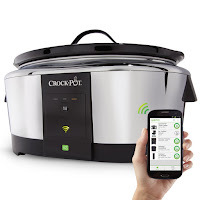 She thought it was a bargain because of how often she would pick up takeout and fast food, but with the Crock Pot Smart Slow Cooker with WeMo she can make sure dinner is ready when she arrives home from work by adjusting the timer or setting from her U.S. Cellular iPhone. She talks about it so much, I just wish she would invite me up for dinner sometime. I mean, why talk about how wonderful your slow cooker is if you aren't going to share? 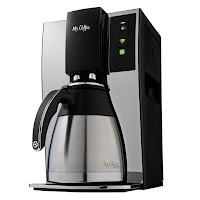 Another device to help with cooking and meal planning is the Mr. Coffee Smart Optimal Brew Coffeemaker. It is also enabled with WeMo. Everyone loves coffee, and you can begin making your daily cup before you even get out of bed. There's no need to worry about if you turned the coffee pot off or not, because you can just check your smart phone or tablet after leaving the house, and you can turn off your coffee pot. How much more convenient can life get? Well, let's move to a few great devices for the home. How would you like to be able to shut your garage door with your cell phone? 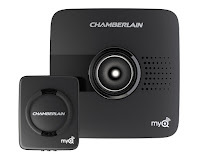 You can use U.S. Cellular's Chamberlain MyQ Garage Door Opener to turn off the lights or shut your garage door. Once the door is shut you can set an alarm using remote monitoring that pairs with your home security system. 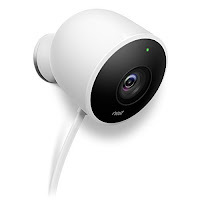 With Nest Cam, also available at U.S. Cellular, your entire home can be monitor from any of the latest devices such as an iPad Air. With the Night Vision feature on Nest Cam, you can even keep an eye on things when it is dar. Pair this with the optional Nest Secure subscription, and you can record up to 30 days of video and keep it safely in the cloud. There are Nest Cams for both outdoor and indoor usage. With the indoor Nest Cam, you can even tell the dog to get off the couch if you see he has climbed into his favorite forbidden spot! 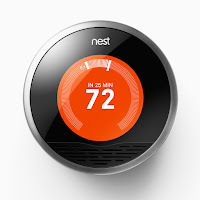 Finally, the last item I am going to discuss is the Nest Thermostat. If you are on vacation or away at work, you can adjust the thermostat from a smart phone. Think how much money you could save by saving on your energy usage, especially when the house is empty. Just at a touch of a button on your mobile device! I hope these devices help give you an idea for gifts not only for others during the upcoming holiday season, but for yourself. There are so many ways that technology can make our lives better, and helping simplify household chores is just one of the variety of uses your smart phone can assist you in day to day living. Also, if you haven't yet downloaded the printable from U.S. Cellular about the Parent Child agreement, please do so. Fascinating stuff ... I AM so ready for the Judy Jetson days of just pushing buttons and having dinner roll out on the conveyor belt!